In Dubai you can find a theme park full of the famous LEGO bricks. The theme park is located in the Dubai Parks and Resorts right next the Legoland Water Park. 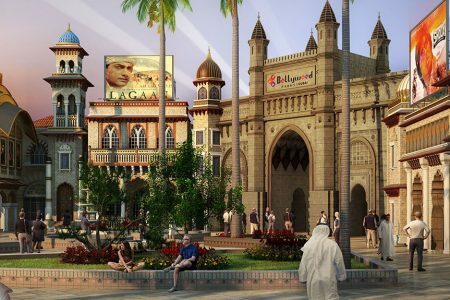 In the Dubai Parks and Resorts area you also find the theme park Bollywood Parks, an amusement park entirely dedicated to Bollywood, Riverland Dubai and Motiongate Dubai, an amusement park entirely dedicated to Hollywood films. 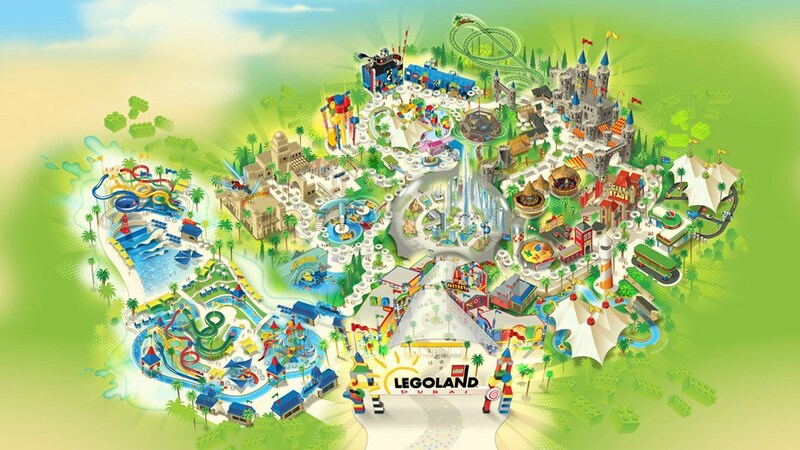 The Legoland Dubai theme park covers an area of ​​280,000 square meters. There are15,000 different LEGO buildings standing. In total, 60 million LEGO stones are used for all buildings in the amusement park. For example, well-known buildings from the Middle East and the rest of the world are reconstructed on a smaller scale, including the Taj Mahal, the white house and of course the special skyline of Dubai with the Burj Khalifa, the tallest building in the world. In addition to the many LEGO buildings, there are also 40 indoor and outdoor attractions and shows in the park. You can race in LEGO racing cars, fly in a LEGO plane or take a ride in the Dragon LEGO roller coaster. Legoland Dubai is divided into six different themed zones, each with its own attractions, LEGO models and restaurants. 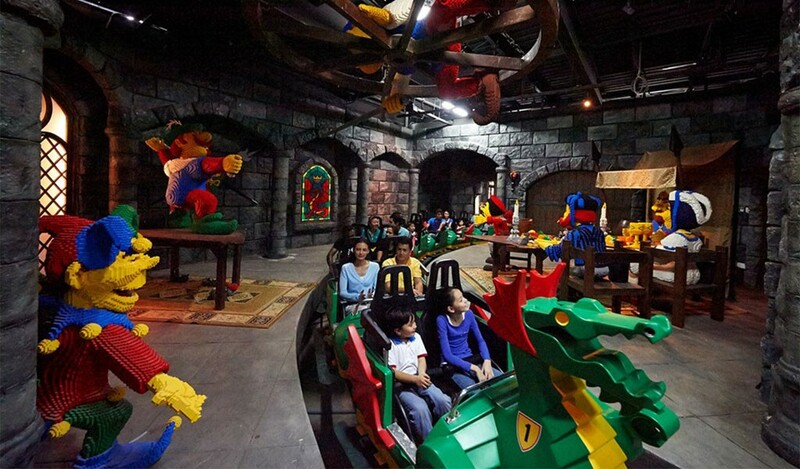 Thanks to the different theme areas, Legoland Dubai is an ideal amusement park for everyone. According to the creators of Legoland Dubai, the park is the most suitable for families with children between 2 and 12 years. In the LEGO Factory, family fun starts and you can take a walk through the LEGO factory to see how these special LEGO stones are made. You can also get your own personal LEGO stone here that is made for you on the spot. In the Factory themed area you will find the largest LEGO store in the Middle East. Here you can find almost all types of LEGO and also buy the essentials for the day such as sunglasses, sunscreen, food and drinks. Teamwork and fun for the whole family are the themes in LEGO City. Here you can learn to drive in an electric car and get your official LEGOLAND driver’s license in the driving school. In addition, you can fly in LEGO City in the LEGO planes, driving a boat and rescue people from a burning building. The Imagination is the area where every LEGO fan will be entertained. You can build a LEGO racing car yourself and race with it. You can join a lesson with a LEGO Mindstorms robot. 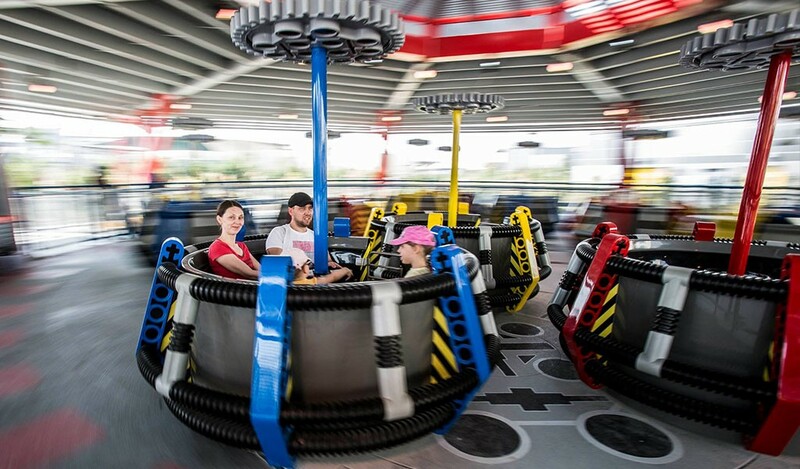 Also you can ride in the LEGO Technic Twister where you can experience the centrifugal force. In the Kid Power Towers you can finally view the entire Legoland Park from the air. In the Kingdoms themed area you go back to the Middle Ages and you can compete against the dragon in the roller coaster. The Dragon runs 60 km/h through the enormous castle of the king. For smaller children there is the Dragon’s Apprentice. In this attraction the children can ride as a junior dragon rider. The ride in The Dragon starts as a darkride through the castle, where you will encounter a number of LEGO figures, at the end you see a fire-breathing LEGO dragon. In Kingdoms you will also find one of the highlights of the park, a huge dragon made of 230,000 LEGO stones. This model of a dragon is one of the largest in the park and is part of the Dragon roller coaster. The dragon is four meters long and weighs more than half a ton. The special feature of this LEGO model is that it has a moving head with glowing eyes and real smoke comes out of its nose. In the Kingdoms themed area you also will find the Merlin’s Challenge attraction and the Merlin’s Flyins Machines where you have to pedal as hard as possible to eliminate the curse of Merlin. The Adventure theme area is especially for the young explorers. In this area you go with the LEGO divers in a submarine through a beautiful underwater world with real fish. Do you prefer to stay above water? Then you can go sailing with the Wave Racers. In the Adverture zone you can make a trip through the ruins of an old temple and look for the stolen treasure of the pharaoh. I can’t help that you have probably already become very enthusiastic. Miniland is the area where everybody will enjoy themselves. The Miniland theme area is also an ideal attraction to escape from the heat. Unlike many areas in Legoland Dubai, the Miniland themed area is not outside but inside a building with air conditioning. Miniland consists out of 20 million LEGO stones and you can find replicas on scale including the iconic skyline of Dubai. That is impressive but you also wil see other famous buildings from the Middle East and the rest of the world. For those who want to get started with LEGO stones, you can go to: Build A City where a 10 meter long table is full of LEGOstones. Would you like to give your children an experience of their life in these theme parks? Legoland Dubai offers different tickets for 1 day or several days. It is also possible to buy a combi ticket that gives you access to the adjacent Legoland Water Park and to Legoland Dubai. This combi-ticket saves circa 70 AED compared to buying a separate ticket for the normal Legoland park and a ticket for the Water Park. A ticket to the Legoland amusement park offers one day unlimited access to all attractions, restaurants and shows in the amusement park. If you do not want to wait in line at the ticket office at LEGOLAND, you can easily order your tickets for LEGOLAND Dubai online at the Tiqets.com website. The mentioned prices may have changed, for the current admission prices please refer to the website of the ticket seller. Entrance to Legoland Dubai costs 64 dollar per person for adults and children. 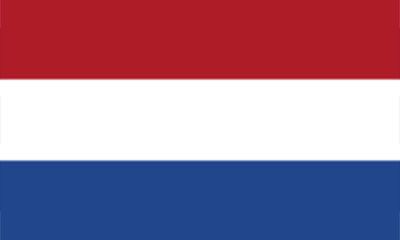 Children under the age of three may enter for free with the assistance of paying adults. Click here to book the tickets online so you don’t have to wait in line at the ticket office. Would you like to visit next to Legoland Dubai, the Legoland water park, Motiongate or the Bollywood Parks? In one day you can visit 2 parks that can be booked via GetYourGuide, the prices start at 72 dollar for a ticket. This ticket allows you to visit 2 of the 4 parks of Dubai Park & ​​Resorts in one day. Access to Legoland Water Park costs 61 dollar per person for adults and children. Children under the age of three may enter for free with the assistance of paying adults. Click here to book the tickets online so you do not have to wait at the ticket office in line. Would you like to visit Legoland Dubai, Motiongate or the Bollywood Parks next to the Legoland Watepark? 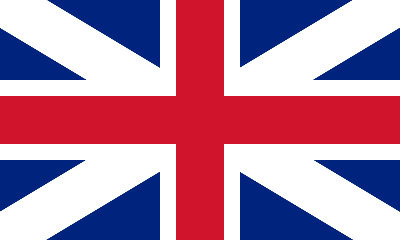 Then there is an advantageous 1 day – 2 parks ticket which can be ordered at GetYourGuide. 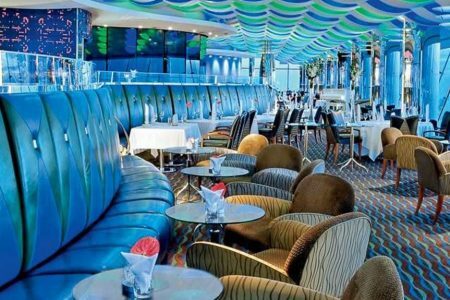 The prices start at 72 dollar for a ticket that allows you to visit 2 of the 4 parks of Dubai Park & ​​Resorts in one day. A combined ticket for Legoland Dubai and Legoland Water Park costs 72 dollar for adults and children. Children under the age of 3 may enter for free if accompanied by at least 1 adult. Click here to book the tickets online so you do not have to wait in line before you can start your day. The two parks of Legoland in Dubai are located in the Dubai Parks and Resorts project, which also includes Bollywood Parks. 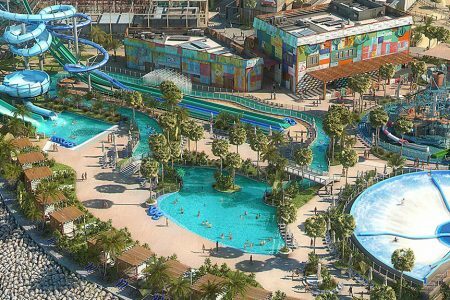 This theme park of 5 different parks is located on Sheik Zayed Road, in the interior of Dubai near Palm Jebel Ali and the Al Maktoum International Airport. Look for the exact location on the Google Maps map below. You can take the bus to travel to the Dubai Parks and Resorts. On the Ibn Battuta Mall bus station you have to take the DPR1 bus line that goes directly to the park and back again. The Ibn Battuta Mall Metro Station, allowing easy and quick access to Dubai Parks and Resorts from the Metro.